Director H Vinoth also revealed why he chose Karthi for Theeran Adhigharam Ondru. 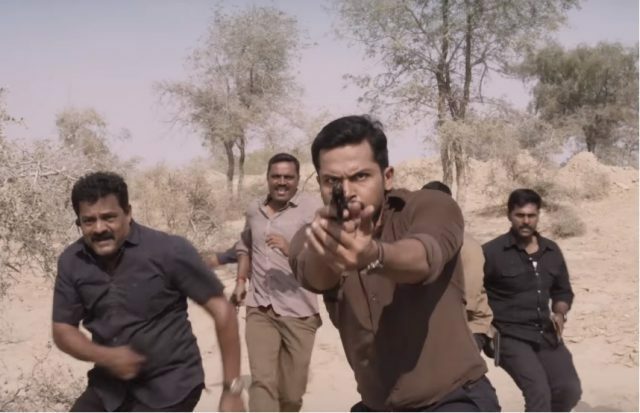 During a recent chat with a leading daily, director H Vinoth said that he decided to cast Karthi in ‘Theeran Adhigaram Ondru’ as the script required someone who would be willing to shoot even in difficult conditions. He went on to add, the very fact that he had already played a cop in ‘Siruthai’ too made him the perfect choice for the film. “The story needed a person who would do anything for the script. Our geography has become so globalised that we had to go to a remote place near the border to shoot. So the climate conditions would be extreme. Karthi has already done such work for Paruthiveeran and Ayirathil Oruvan. He is a person who will compromise for the script and not expect the vice-versa. Thus I felt he would be perfect,” he added. Besides this, he also said that ‘Theeran Adhigaram Ondru’ does a good job of depicting the police department accurately without being preachy. He also quipped that the viewer will indeed be able to learn a lot by watching ‘Theeran Adhigaram Ondru’. “The viewer will be able to learn a lot from the film. If one starts digging a bit with what the film says, they will get even more history. If you can forgive a few cliches, Theeran will be a new experience,” added H Vinoth. Well, we wish him the very best hope that ‘Theeran Adhigaram Ondru’ does well at the box office when it hits screens this week.